You may have noticed a new business in the Gresham Plaza behind McDonalds. It has a big bright sign that reads “The Tutoring Center.” What exactly is “The Tutoring Center?” It is a franchise that not only spans the country but internationally as well. Jennifer Tanner decided to step out of the classroom and open her franchise in Simpsonville. The Tutoring Center is unique in its approach to helping children by using what is called ‘The Rotational Approach to Learning.’ This method has many advantages over the traditional methods of tutoring. When a family first comes to The Tutoring Center they are offered a free diagnostic test (Kaufman Test – a test that is used and recognized in Greenville County). Using these results, the center customizes a pro-gram for each student. The student will work on three sets of materials for increments of 30, 15 and 15 minutes. This approach gives the students appropriate materials for their levels, one-to-one instruction on these materials, and it is all done in a specially designed classroom to reduce distraction. The unique design helps increase student’s academic skills and their concentration span. Parents will be impressed by the level of service they will receive from the center. 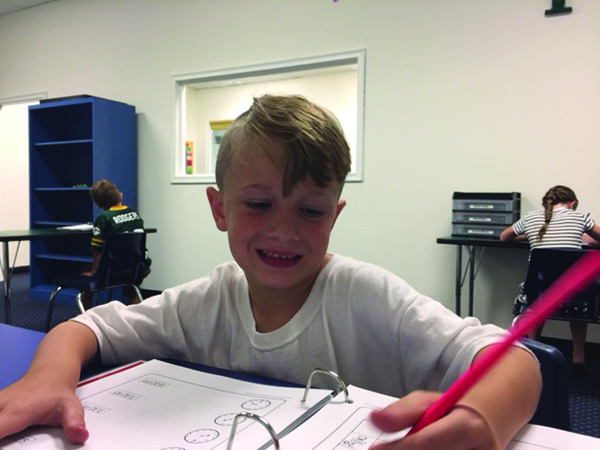 The Tutoring Center reaches out and works with the student’s classroom teachers. This is done by hand delivering the student’s test results to their school, conferencing with teachers, sharing examples of work the students have done at the center and getting suggestions from teachers about the are-as where the student is needing help in the classroom. These conferences will either be done by Jennifer or her Head Instructor Gwen Nary. Students will either attend the center for two or three one-hour sessions a week. After forty session each student will be tested again, and the parents and teachers will receive results showing the child’s progress. The owner Jennifer Tanner was a teacher for fifteen years before deciding to open her own center. Why would she decided to open a center of her own? She was not only working with struggling students in the classroom but with one at home as well. Her son was not able to decode words, learn his spelling words, or write neatly. At night she would work with him as long as his seven-year-old attention span would allow, and they just couldn’t make any real progress. Jennifer and her husband Joe decided they needed help, so they looked for a tutoring service. As a teacher Jennifer had heard the high prices some parents were charged for services and was scared to hear those numbers for herself. Luckily, her first call was to the The Tutoring Center, Greenville owned by Morgan Stone. She was quickly put at ease when she learned about the great system and the affordable rate that required no contracts. Jennifer quickly saw improvements in her son not only academically but also in his behavior. This is due to ‘The Wall of Fame’ and the toy store. Before each session the students are moti-vated by discussing a motivational phrase and how they could apply it to themselves and their learning. The toy store is the student’s proverbial stick and carrot. The toy store only opens once a month. This means that students must save (sometimes it takes multiple months) to get their desired prize and then wait to purchase it. This helps to not only develop a sense of earning but also delayed gratification. Her son was saving up for a big item and couldn’t help but buy a smaller item when the store opened for the month. He later said how he was disappointed with himself for buying the item and not saving for what he really wanted. Jennifer saw that her son had just learned about remorse buying at the age of seven. With all of these positive changes in their son she and her husband Joe knew The Tutoring Center was something that worked, and more people needed to learn about it and have access to it. 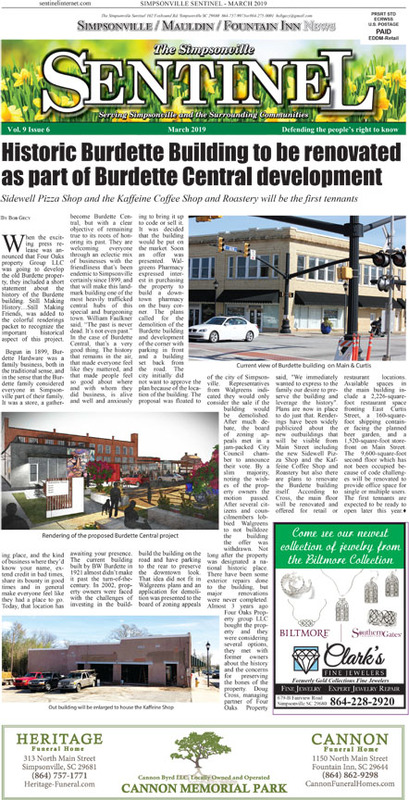 In exploring the Greenville area, they found that Simpsonville was the perfect area for a new center. She is excited to start giving parents the feeling of relief The Tutoring Center, Greenville was able to give her when she was struggling with her son.